In an era where people tend to change cars every few years, it is nice to find a car that has been in the care of one person for an extended period. 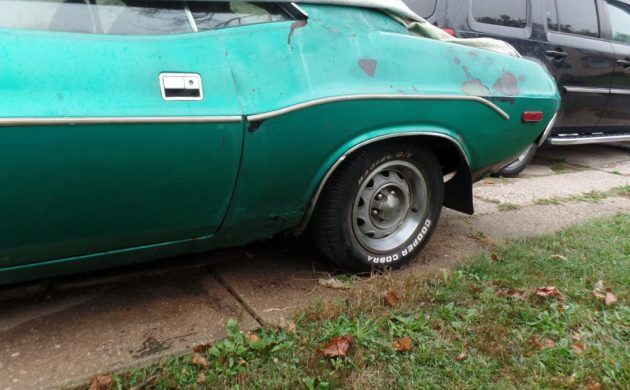 This 1972 Challenger has been owned by the same man for the last 45-years. Family commitments mean that he no longer has the opportunity to drive the car, let alone undertake the work that would be required to restore it. Therefore, he has decided that since he hasn’t even had the opportunity to drive it for the past 3-years, then it should go to a new home. Located in Brentwood, New York, it is listed for sale here on eBay. I’m pretty sure that we’ve all seen cars advertised, and they turn out to not be anywhere near as good as the seller makes them out to be in the ad. This owner certainly doesn’t have that approach. What he gives us is a “warts and all” appraisal of the Challenger, and backs it up with plenty of clear photos. Firstly, let’s look at the positives. The car is complete, and while the frame may have a fairly decent coating of surface corrosion, it does appear to be solid. Now, let’s look at the negatives. There is rust to deal with, and a fair bit of it. The floors are all pretty bad, although the owner has commenced the process of replacing the trunk floor. The rusty section has been cut out, and new trunk pans are there and are ready to be welded into place. Most of the lower extremities of the body have rust visible to some extent, although the rockers are probably the healthiest area. The Challenger also didn’t start life finished in green paint. Originally it was finished in Hemi Orange. It was then refinished in black, before receiving another repaint in its current shade of green about 27-years-ago. Under the hood are the original, numbers-matching 318ci V8 engine and automatic transmission. The Challenger is also fitted with power steering and power brakes. 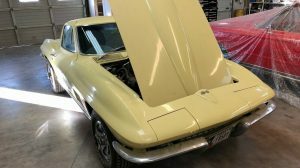 The owner doesn’t mention whether the engine runs, but he does say that it has been fitted with electronic ignition, a wilder camshaft, a 4-barrel intake and carburetor, air shocks in the rear, along with headers and dual exhaust. It does need a clean under the hood, and there are plenty of spots where you can see the original paint poking through. 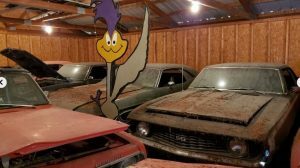 The interior is a mixed bag, and while there are some areas that may respond to a good clean, there are definitely items that will require either restoration or replacement. High on the shopping list will be new carpets, new covers for the front seats, and a new headliner. 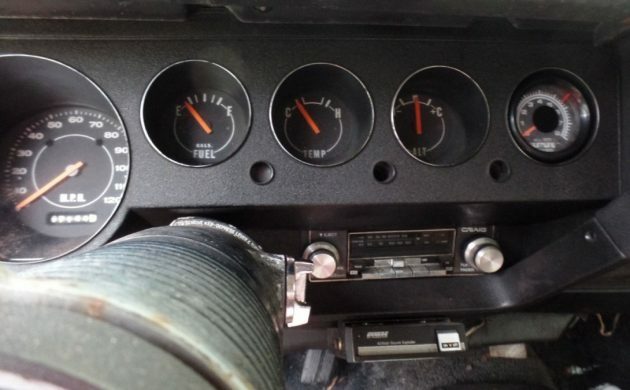 An aftermarket tachometer has been fitted to the dash, along with an aftermarket radio/cassette player. 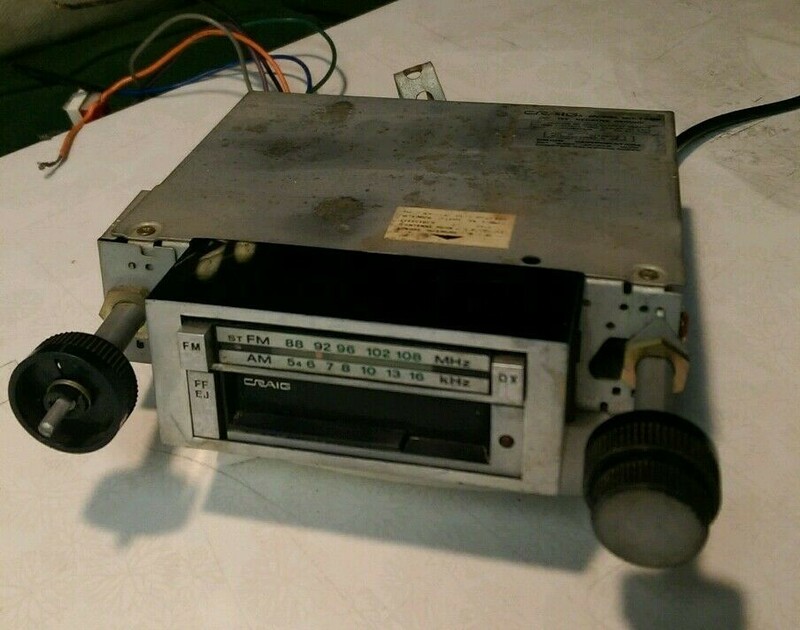 The owner does have the original radio, so this could be refitted. The door trims look like they might be able to be restored, while the floor console looks like it is quite good. If the new owner restores this car to original, the orange paint and white interior would make for a pretty nice combination. The 318ci equipped Challenger is not a car that commands huge money, but they tend to be a fairly respectable performer in the market. 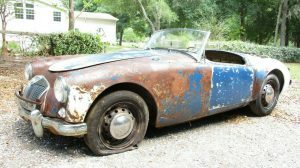 There are plenty of examples in the $14,000-$16,000 bracket that need rust repairs to some extent, while really good ones can sell for $30,000 or more. In this form, they are not a muscle car, but more of a comfortable grand tourer. This one has the potential to return to those roots, and the owner has set a BIN price of $9,350, with the option to make an offer. It definitely will need some work, but there is one positive to take from it. With the description and photos provided by the owner, this is a car that shouldn’t hide too many nasty surprises for the new owner. 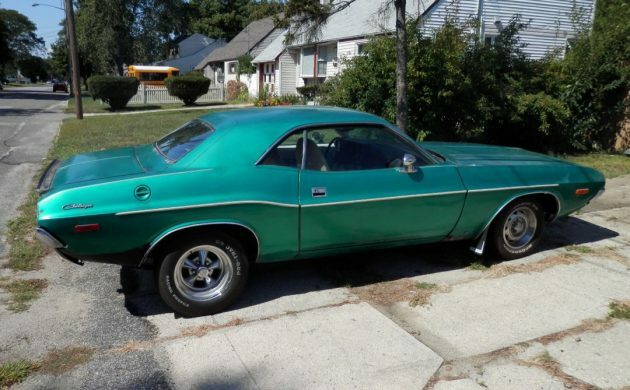 Boy, with the Mopar market today, I am really stunned this is still for sale. 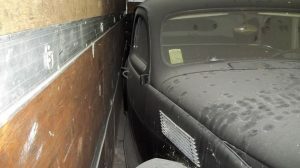 Hmmm, needing two quarter panels, trunk floor, and possibly front floor pans; rust bubbling in the fender bottoms, and doors, not to mention the potential for interior electrical/corrosion problems. (IMO) this car is overpriced. Nothing has changed since the original listing a few months ago. 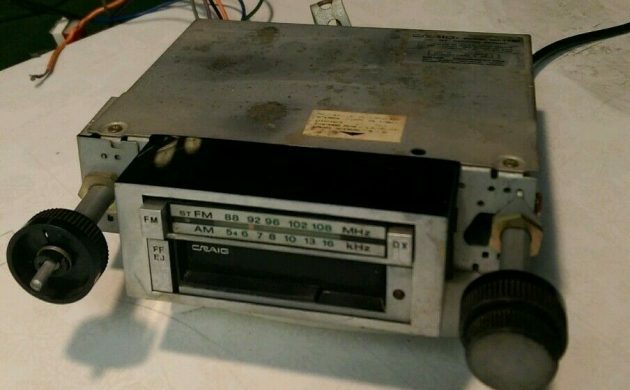 The seller replaced the AM radio with a cassette player, it’s in the ad. The thing below the radio is an equalizer. Here’s one that’s similar, but has AM/FM. Doesn’t look anything like an 8 track to me. I personally would want to add a 70 front clip and tail panel, and that 318 has to go for a 350 or big block of some sort. A 350? A Mopar does not, I repeat NOT need a GM powerplant under the hood. 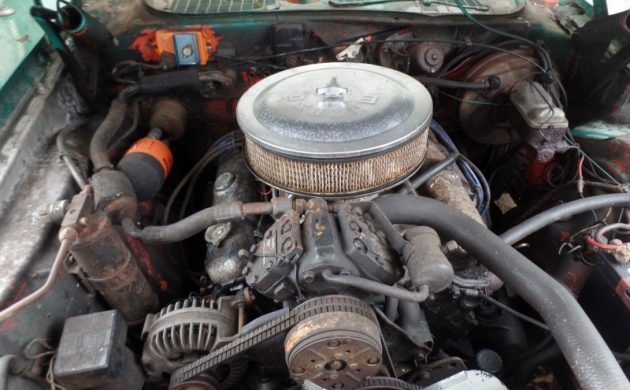 This isn’t a Ford we’re talking about where it’s pretty normal for a GM powerplant. The 318 is numbers matching and original to the car, some people will drool over that alone. A period correct 340 can be built to over 400 HP with a smaller budget easily. There ya go, a challenger for under 10k. Seen worse. Of course you would have to look at it. Good luck to the new owner! Looks great Project. Hey James, why don’t you post a few pictures for us to see? I have a 69 Charger that I bought from the original owner in February of 78. She had 92,000 miles on her then and there is 199.900 miles on her now. Another engine is in the future plus the interior and some body work, & etc. It’s time to bring her back to her condition that she was when I bought her. A 383, auto,PS,PB,AC, bucket seats with folding arm rest between the seats. The owner was asking $1,300, I offered him $1,200, even $1,300, but not 1,300. After I test drove, he sold to me for $1,200 since I had offered him more than he was asking. I will never sell, getting everything together to get her running again. Mopar Forever. Keep it green, looks pretty good with the white interior and those big wheels and tires in the back. It’s a high school hot rod, nothing fancy, just cool with the 318 getting a few hop up parts,..fun but not gonna run out of gas everyday so cheaper to drive for a teenager than a big inch 440, of course I’m thinking back a few decades. Totally agree, Troy s. This is the kind of car that keeps the hobby fun for people that love cool cars but don’t feel like they have to spend huge $$. Hop in, crank up that cool sounding Mopar starter, and lay down a little rubber on the boulevard. The seller has owned it since he was a teenager. 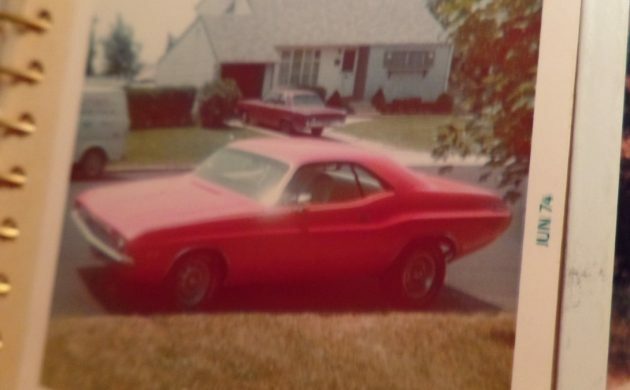 Every kid I knew that had a Barracuda / Challenger in the late seventies, including myself, looked like this one. A bit ragged out, big tires in the back, rust beginning to show. I would imagine that mine would look like this, probably worse, if I parked it in my driveway and threw a cover over it. I kind of wish I did. That would be my daily driver if I had the money. N I literally wouldn’t change a thing. Maybe a seat cover or two after a good cleaning n a tune up. I’d be the hottest chick in town. My dream car. A perfect ladies car,Ms.Jackson,the 318 motor is easy on gas and on open interstate it is a fast cruiser! Once had a ‘69 Barracuda with 318,2b carb.it was great on gas, and could take some abuse! Just wish I could have kept my classics and stored them away til now,im 53, and ready for round two! What’s up with that fram oil filter?